The high-end Swiss shoemaker has been designing sneakers since the 1930s, catering first to sports and then embracing them as everyday footwear. As the OG designer sneaker maker, Bally became a status symbol in the mid-1980s when rap stars including Doug E. Fresh helped boost its name through street style influenced by hip-hop movement. With nostalgic vibes making waves in fashion, the brand is reintroducing four replicas of its best sneaker styles from past decades. Designed to withstand the elements of sport, Bally’s vintage-inspired lace-ups feature modern fabrications of the 1965 Super Smash plimsoll, the 1974 Vita-Parcours with its classic checkerboard motif as well as 1983’s The Competition tennis shoe and The Galaxy, which the brand describes as its lightest sneaker. 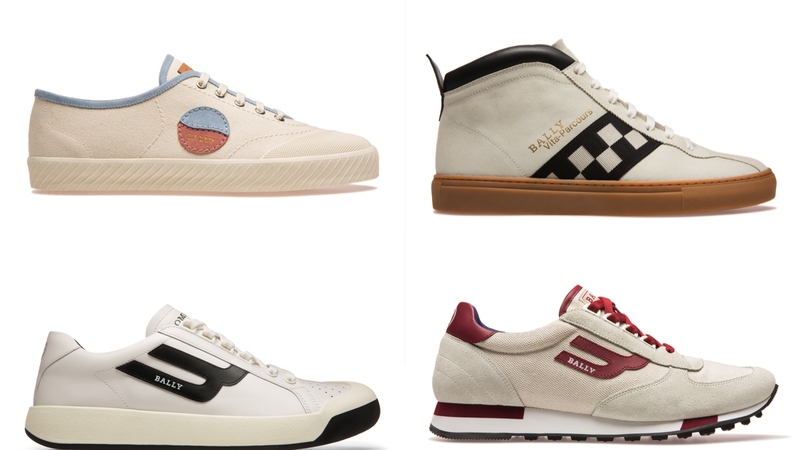 Offered in several colorways of both men’s and women’s iterations, these fresh kicks are available worldwide across all Bally Boutiques.